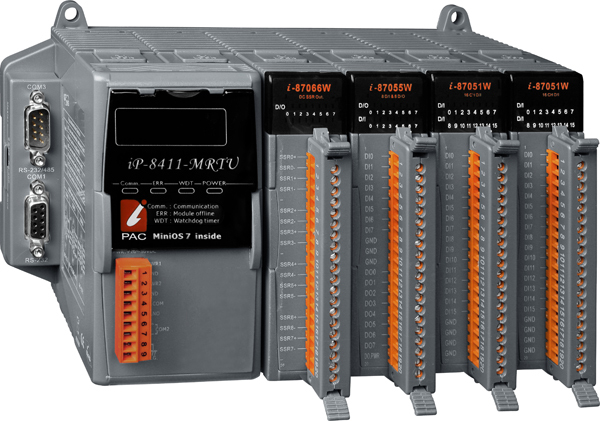 IP-8411-MRTU | The iP-8411-MRTU is the compact size PAC(Programmable Automation Controller). Wide range of operating temperature (-25 ~ +75 °C). 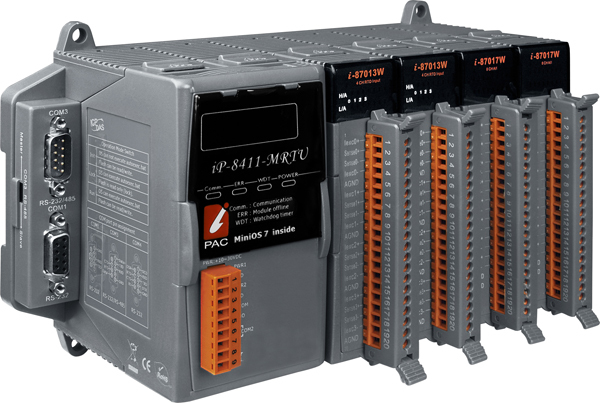 The iP-8411-MRTU is the compact size PAC(Programmable Automation Controller). Wide range of operating temperature (-25 ~ +75 °C). 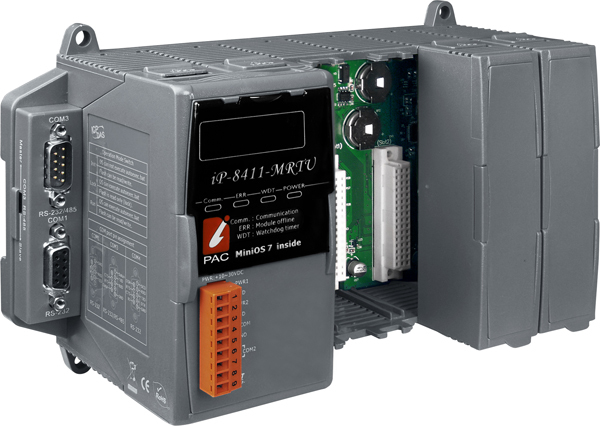 The iP-8411MRTU is the compact size PAC(Programmable Automation Controller). 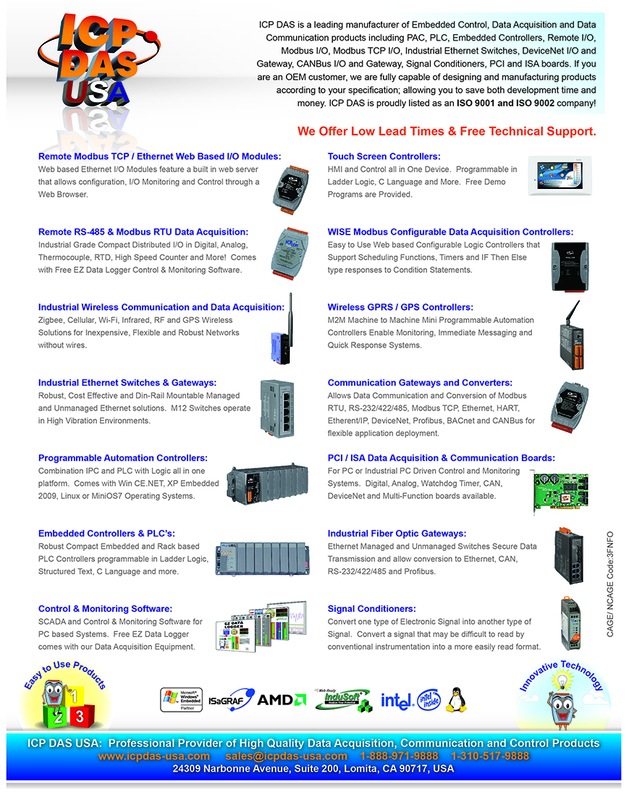 It supports various connectivity including one RS-232/485 port, one RS-485 port and two RS-232 ports, and 4/8 slots for high performance Parallel-type I/O modules (High profile I-8K series) and Serial-type I/O modules (High profile I-87K series), etc. 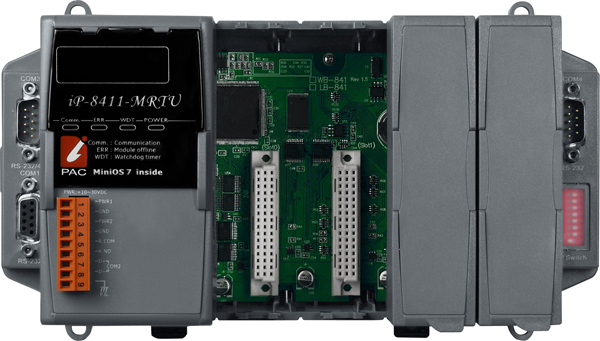 The iP-8411MRTU is designed for industrial monitoring, measurement and controlling. It has redundant power inputs with 1 kV isolation from noise and surges, and a wide range of operating temperature (-25 ~ +75 °C). It can work in the harsh and rough environment.